C&IT has teamed up with Barcelo La Bobadilla Spain and Monarch to offer one lucky reader plus a guest a two-night stay with dinner, including flights. 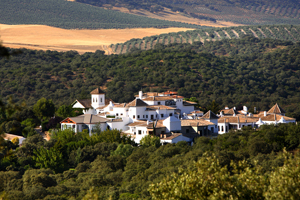 Barceló La Bobadilla is a five-star hotel set in 1,000 acres of private grounds between Málaga, Granada, Seville and Córdoba. It has 70 rooms and suites, a luxurious spa, private chapel, a large estate with protected oaks and olive groves, and three restaurants including La Finca. The hotel’s event space includes the 216sqm La Bobadilla for 140 delegates and the 144sqm La Capilla for 100. Monarch operates year-round flights to Malaga from Birmingham, London Gatwick, London Luton and Manchester airports. The prize includes a two-night stay with breakfast at the hotel for two adults, with dinner on one night, and two return Monarch flights to Malaga. To enter, please send your answer to the following question to citcomp@haymarket.com by 7 December: Which types of trees grow in the hotel’s estate? 4. Flights are subject to limited availability and may not be available on all dates on all flights during this period. 5. The prize is valid for travel between 1 March 2012 and 30 September 2012, excluding the months of July and August. 6. The prize is one pair of return flights with Monarch from Birmingham, London Gatwick, London Luton or Manchester airport.